See how the shell box was made. 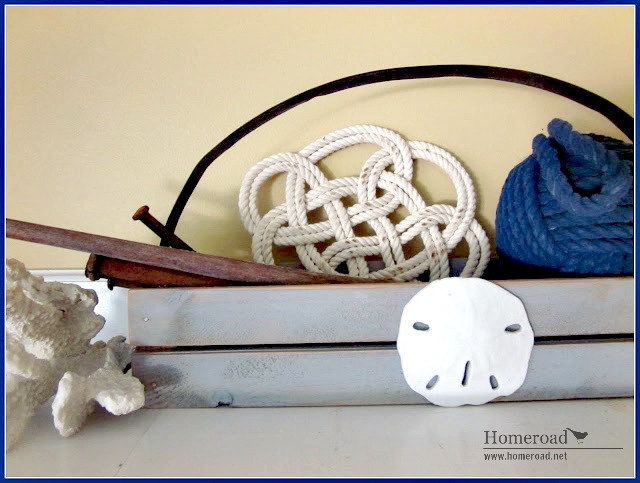 Your nautical mantle looks beautiful Susan! 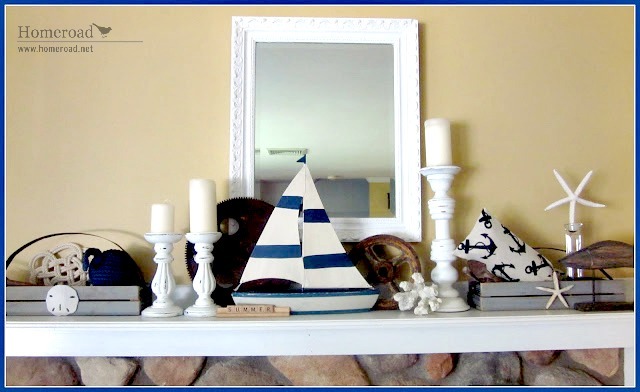 Perfect Summer mantel, Susan! I love the boat! Really Cute! Love the candle holders! 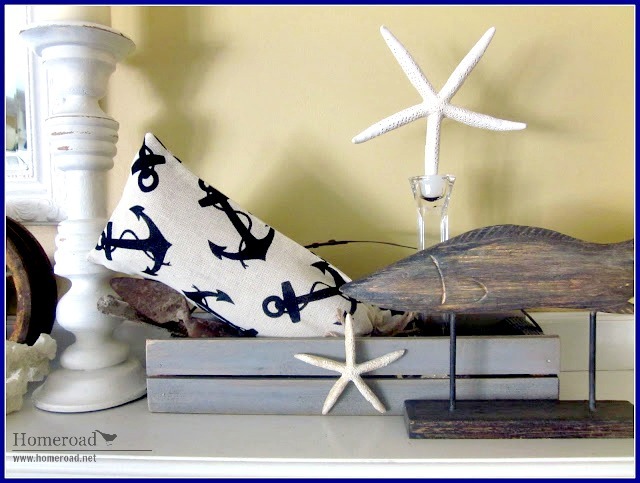 Love your nautical touches - especially the anchor pillow?! Is it a pillow????? 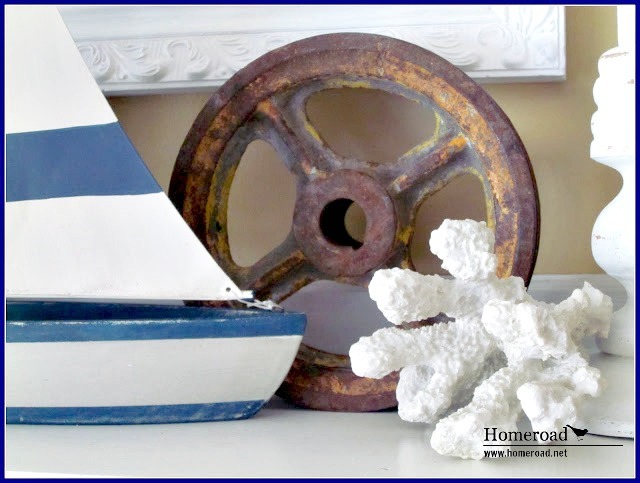 Love the knots and the rusty! And of course, white always works, especially for summer! Susan, I'm in love with this! 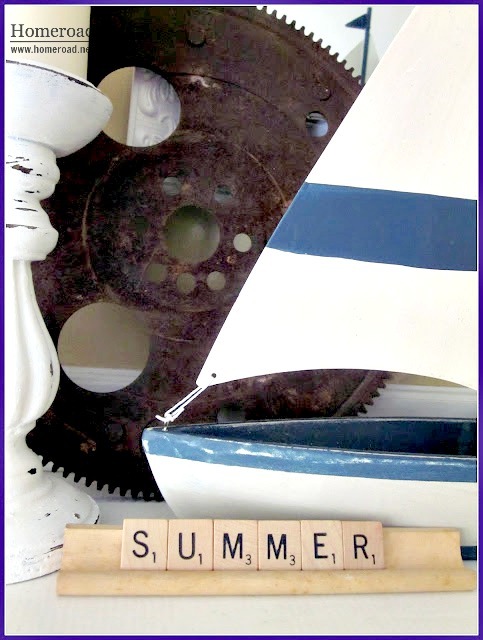 From the rusty gears to the scrabble pieces, it's so clever and summery. 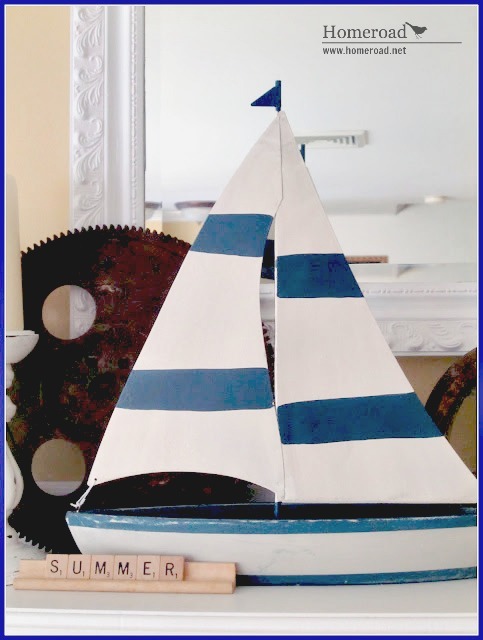 Plus, I'm a nautical loving girl at heart. You've got me inspired! Great ideas!